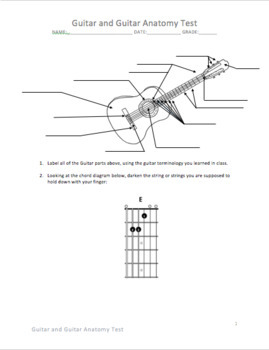 Guitar Test: Guitar Anatomy, Posture, Chord Diagrams, and More! 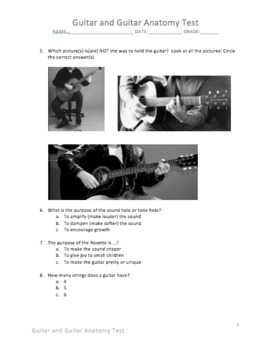 It can be hard to quantify what students have learned on a specific instrument. 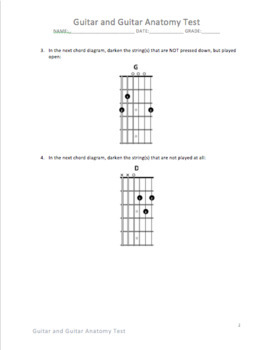 If you are like me, and have to teach a nine weeks class it can be even harder to show growth just through playing test grades. 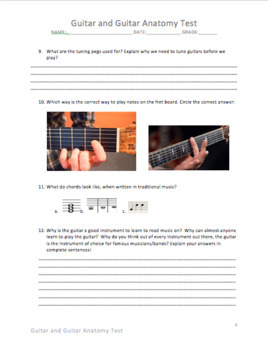 Give them a paper test that really shows that they understand basic concepts such as reading chord diagrams, recognizing chords in music, guitar anatomy labeling and more! This document is 100% editable!